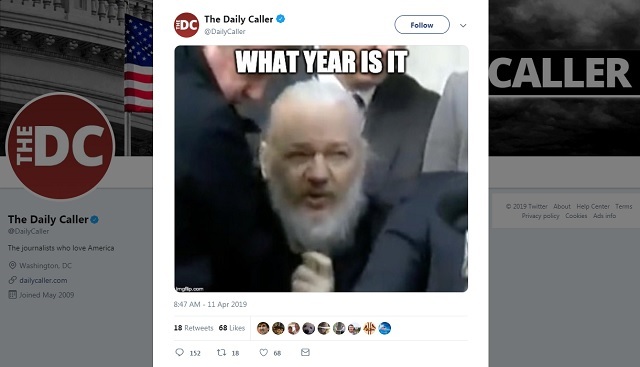 The Daily Caller evidently thinks it's hilarious Julian Assange has been tortured for seven years in virtual isolation and denied sunlight. The meme didn't go over well. Pay attention to the responses to Julian Assange's political persecution if you want to know who is fake opposition. All these same clowns exposed themselves with their immediate condemnations of the boys of Covington Catholic (The Daily Caller's Benny Johnson said the Covington Catholic boys were "despicable"), now they're going to do it again.